It seems like Google has covered the entire world with its all-seeing gaze, but Jalopnik readers know ten amazing roads worldwide that aren't on Street View. You'd be surprised how many distant, rural roads are on Google Street View. We were sure, for instance, that the legendary mountain roads of Japan would be off the Street View grid, but even the Usui Touge is on there. In fact, it seems like all of Japan has been Street Viewed. This list is fairly US-centric, purely given that most of our readers submitted American roads. Please fill in more amazing and bizarre international highways in Kinja below. If you happen to be an American near a crazy road nobody has heard of, post that too. According to one local, this is "the best road you've never heard of," out in the Colorado mountains. This road is half dirt, half paved and goes up and over 12,000 feet over almost 60 miles. On the Gunnison side, it snakes through a canyon for 25ish miles paved before turning into dirt and climbing 3,000 feet to the pass in just 12 miles. Then right at the continental divide, it becomes paved and remains so until finishing in Buena Vista. Total vertical change is 8,000 feet. The dirt is smooth and fast, and the road is traveled by us locals at 50 mph+ regularly. Google Maps says it takes 2:21 to drive but I've done it easily in half that. 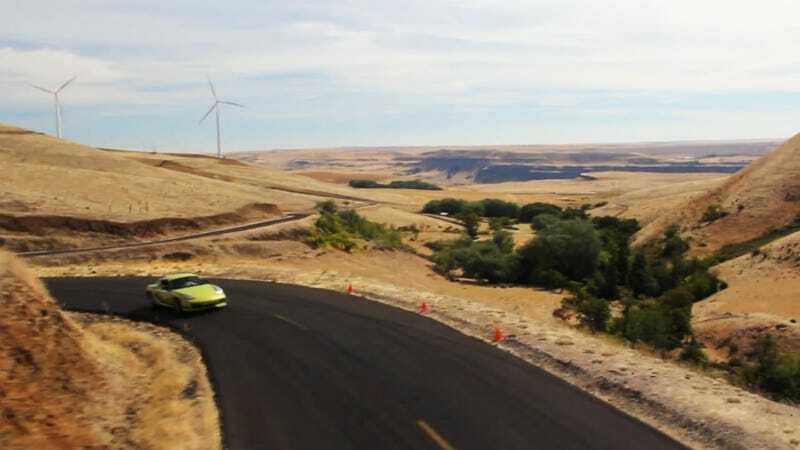 This snaking road in Washington State (see it here) has since been bypassed by a state highway, but remains one of the most twisting, scenic roads in the country. Cars are only allowed on it for special events (yes, there's a hillclimb!) organized by the local museum, which maintains the road. This Saskatchewan road has a song named after it, as Jooniflan describes, but Street View hasn't found it yet. Seven Bridges Road is the name of an acapella song found on The Eagles greatest hits collection and was a favorite at the time. It turned out to be about 10 miles of pure rally stage gravel track/farm road down the valley and became my favourite road to go out and drive just for fun. In a province in which 95% of the roads are arrow straight, it is a hidden gem. There are indeed quite a few bridges on the road but I generally get too distracted by the oversteer opportunities and have only ever counted six. We last wrote about this road on our list of 10 great driving roads you've never heard of. It's like somebody dropped the Stelvio Pass into the Rockies. Unsurprisingly, it's not on Street View. There's no question that the Rocky Mountain states have some of the most beautiful roads on the globe, but not all of them have been driven by the Street View cars. Montana State Route 17, or the Chief Mountain Highway, is among the best. We were sure that Hawaii's amazing Tantalus Drive would be off of street view, but Google has found that epic section of mountain hairpins already. Similarly amazing Mt. Kaala Road on Oahu is only open to government vehicles, and is thus still unseen. Before the dedicated race circuit was built, Watkins Glen was run on closed public roads, like the legendary Spa-Francorchamps in Belgium. You can still drive the old course (at legal speeds), but Google hasn't been yet. This 800-odd mile remote highway links Islamabad to Kashgar in far, far, far Western China. It passes through some of the most difficult terrain in the Himalayas and, by extension, the world. The highest point on the Karakoram Highway is the 15,400 ft Khunjerab Pass, possibly the highest paved pass in the world. Read more on the highway here. Technically, the Nordschleife is a toll road, but it seems that Google hasn't paid the entry fee to do a few laps in one of their Prii or Subarus. Impressively, there is one highway in Antarctica, linking McMurdo Station (the biggest on the continent) to the South Pole Station. It's nearly 1,000 miles long, it's made of snow, and it is designated by flags. Sometimes called the South Pole Traverse, it's not even on Google Maps, let alone Street View.